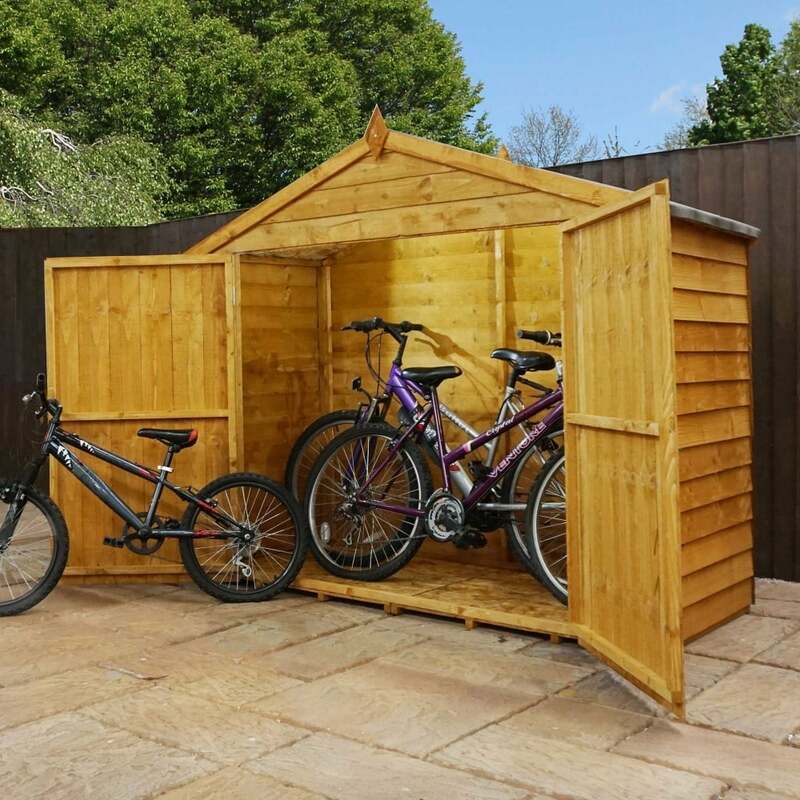 Mercia 3x7 Overlap Apex Bike Store: The Mercia 3 x 7 apex bike store is the great way to gain valuable storage space in your garden without taking up too much outdoor space. The Mercia overlap bike storage is perfect for storing several bikes in this traditional apex design. The 3 x 7 timber bike shed is constructed using 8mm overlap cladding and 28x28mm framing to support the building. The Mercia bike store features wide double doors allowing for ample accessibility and is delivered flat packed for easy self-assembly.